We are one of the South West's leading bat consultancies with over 20 years' experience and we have our own fully licensed bat ecologists. We can tackle all and any issue relating to bats and development in a rapid, pragmatic and financially sensitive manner. If you have any concerns about bats in relation to your project such as barn conversions, extensions or even complete demolition just give us a call. We can provide all of the technical support and advice you will ever need. Spalding Associates are one of the longest established ecological consultant firms in the UK and have been providing bat and barn owl surveys from our offices in the South West for well over a decade. 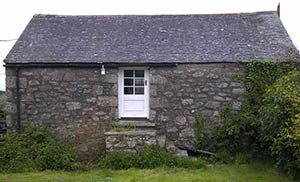 Properties that we are often asked to survey for bats are redundant barns. Our survey found no bats within the roof of this barn before it was converted. Spalding Associates staff include two full time, fully licensed bat ecologists licensed by Natural England to complete bat surveys and handle bats where necessary. We also have a number of trusted associates we can call upon for other bat related activities or to help during busy times. We routinely provide initial bat and barn owl surveys to architects, developers, land owners and property owners. If after an initial survey further bat surveys are required we have the staff, expertise and equipment to complete anything from simple bat emergence surveys on a barn conversion to long term studies for major developments. We are always keen to keep up to date with technological advances and have yet again been investing in new bat detectors. 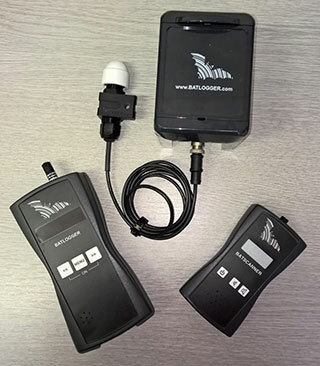 We have added a number of new Anabat Express detectors to our arsenal for deploying into buildings and into the field, a New Wildlife acoustics Song Meter SM4BAT ZC for long term deployments and a new Elekon Batlogger A+ for sites where full spectrum recordings are required in the field. This adds to our existing Anabat Express detectors and Elekon Batlogger M and Batscanner hand held detectors.